Over the years, lack of eye contact from a person diagnosed with autism spectrum disorder (ASD) has been mistaken as an indication of lack of empathy or connection with others. This theory began in the 1980s when psychologists Simon Baron-Cohen and Uta Frith indicated that people diagnosed with autism were not capable of using the “theory of mind.” People with autism, they believed, were not able to imagine the thoughts and feelings of other people. This condition was coined as “mindblindness.” And it’s a concept many people have been trying to discredit for years. This concept was recently debunked through a study published in Scientific Reports which revealed that people diagnosed with autism often refrain from eye contact because it causes anxiety; it does not indicate a lack of empathy. This suggests, then, that specialists may have been looking at therapeutic intervention the wrong way. Before explaining the correlation between autism and anxiety, it’s important to define the kind of anxiety that people with ASD often experience. At one point, everyone goes through some kind of stress, but the anxiety that people with autism have is often characterized by intense worrying, panic attacks, and phobias that can be debilitating. And for those people with ASD who are unable to communicate well, it becomes a greater challenge to diagnose an anxiety disorder. Anxiety is that recurring or constant feeling of dread and fear over a perceived threat that can be brought about by certain situations or factors, such as speaking in public, a loud noise, or it could the body’s fight or flight response. It’s quite unfortunate that most people try to keep their anxieties to themselves. Anxiety comes in what is called a vicious cycle. It starts slow, but once it occurs, most sufferers begin to worry about the anxiety itself. People who experience social anxiety or panic attacks often worry about the next panic attack. They also worry about who might see them when the attack happens or if ever there will be help when it’s needed. This worrying over the next attack can send the person on a vicious cycle, wherein the anxiety becomes the cause of fear and it replaces or adds to the original fear. Approximately 40 percent of people with autism spectrum disorder are diagnosed with anxiety disorder. The kind of anxiety disorders they usually experience are separation anxiety, social anxiety, panic disorder, as well as phobia-related anxiety such as fear of thunderstorms, fear of choking, etc. 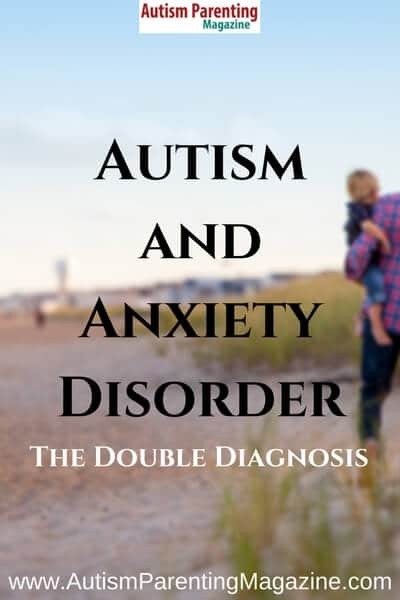 It is beneficial for people with ASD that the link between anxiety and autism has been made clear so the appropriate treatment can be determined. It’s crucial to know the physical anxiety symptoms for it to be treated appropriately and at the right time. Some of these symptoms include: sweaty palms, avoiding or being averse to the flight or fight response, pounding heart, sweating in general, etc. Stimming or self-stimulation may also indicate anxiety, such as pulling at clothes or tearing up pieces of paper, or any behavior of the same type. Light humor can also help some people who undergo an anxiety attack by calming the senses. In addition, there are calming techniques that can be done by anyone who experiences an anxiety attack symptoms. One of these is steady and deep breathing. Focusing on your breathing will help you shift your focus from the anxiety. It’s also important to find a safe place to go to once the anxiety sets in. Positive reinforcement can help in setting up some steps to reduce the likelihood of an anxiety attack. Young children will be able to understand and appreciate the little steps towards resolving anxiety disorder when they are given rewards for their step-by-step accomplishments. In the end, whether or not a person has been diagnosed with autism or anxiety disorder, or both, it is first and foremost necessary to accept, recognize, and deal with the challenges appropriately. You can start by following the aforementioned tips.